We lcome to LowerDecks Radio a UK based podcast network! 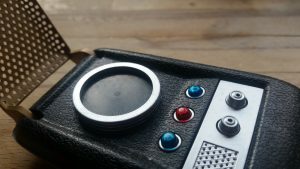 Currently, we have 2 podcasts, our first podcast is a Star Trek Podcast called 10Backward, featuring Richard, Will and Rick talking about various aspects of Trek. Visit our 10Backward page for the latest episode. Our second podcast, Trek Book Club features Rob and Rick discussing Star Trek novels that have been read in the Twitter Trek Book Club group.